Amity in Fame, texasradiofish, The Rabbitts, Seth Power, eve, Robin Grey, FilosoFonia, and Loveshadow. This week on The Bugcast: in our last show of the year, we (very briefly) sum up our Christmas week, and play 8 amazing tracks of Creative Commons and independent music from Mindfull, Talking To Sophie, Michael Ellis, Jount, Hood Smoke, Robin Grey, The Jaygles, and Metaloyd. This week on The Bugcast: Dave and Caroline return with some departure news, Podcrawl round-ups, and their usual selection of 8 amazing tracks of independent and Creative Commons music from Rawboss, Marco Buono, Robin Grey, Nihilore, Ground & Leaves, Ryan Cassata, Charlie Mosbrook, and Scream Inc. 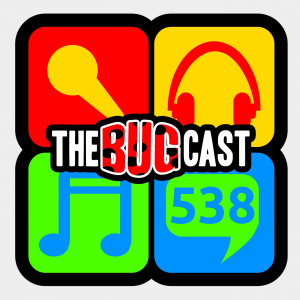 This week on The Bugcast: An elite award, a podcasting rebirth, a pair of podcrawls, and 8 awesome tracks of Creative Commons music from Brückenbauer, Union Hills, StrangeZero, John Q, Robin Grey, Little Husky, ZOE.LEELA and No Monster Club. This week on The Bugcast, we start the New Year with appropriate celebration, resolutions, and 8 great tracks of Creative Commons music from Drumland, Walker Fields, Jason Brock, Robin Grey, Amity In Fame, The Meaning Under, Jamison Young and Insane Prototype. This week, we discuss unfair punishment for identifying security exploits, announce the departure of our last surviving gerbil, and play 8 great pieces of music Manny, Freeky Cleen & Dickey F, The Wind Whistles, LukHash, Josh Woodward, Robin Grey, Paul Klason & Fresh Body Shop. the bugcast 233 – SHUT UP! Birthdays, losing more than the plot, and news from the social media. All this, and 8 pieces of music from Black and White, Michael McEachern, Grant Siedle, Robin Grey, A Is For Atom, Can’t Stop The Daggers, House Of The Old Boat and Zadkiel… and we don’t charge you a penny!